Hiring remote workers can be a huge asset to your company. It can increase productivity, save on costs, and give you access to a global talent pool. Not only does it benefit the company, but statistics show employees are happier and more productive when they work remotely. In fact, 82% of remote workers surveyed in one study reported lower stress levels from telecommuting, and 30% of workers in another study said working remotely allowed them to work more efficiently. While hiring remote teams is a smart way to go, there is still a learning curve. 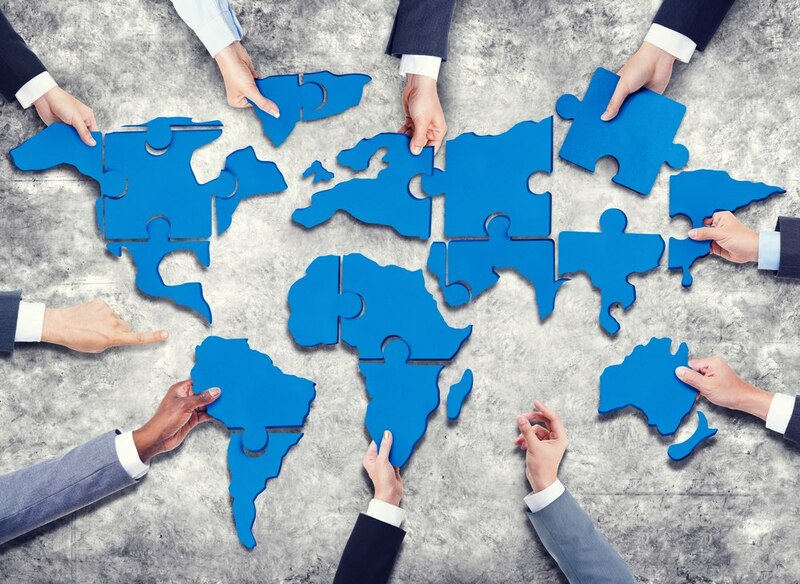 You have to arm yourself with the tools, resources, and strategies to manage workers from all over the globe, handle invoicing, track time, coordinate projects, and more. To help you get ahead of the curve, and make managing your remote team a cinch, this article will present you with all the tools you need to be effective at remote management. That way, you can enjoy the benefits of a remote team and not have to stress about making sure everyone is on the same page. When managing a remote team, one of the most important factors is making sure you have a reliable way to communicate. This is especially important when dealing with different countries and different time zones. As far as communication tools go, it’s important to have a go-to for online meetings, video chats, simple chats, and email. Here are some suggestions for top tools in the industry that most remote workers will know how to use. Looking for an awesome chat tool that is reliable and well-known? Look no further than Slack. Slack has thought of it all when it comes to remote and quick communication. You can use Slack for your in-house team as well as your remote workers. Everyone that uses Slack uses the same platform. This means your team and all their conversations are brought together in one, convenient location. Discussions are then organized into channels. This makes a place for every project, team, and/or department. You can create different channels for different purposes. For example, you could have a channel for onboarding that deals specifically with training new remote workers. New workers have a place to ask questions and get quick answers with Slack. You can also hop on a quick voice or video call if chat isn’t quite cutting it. 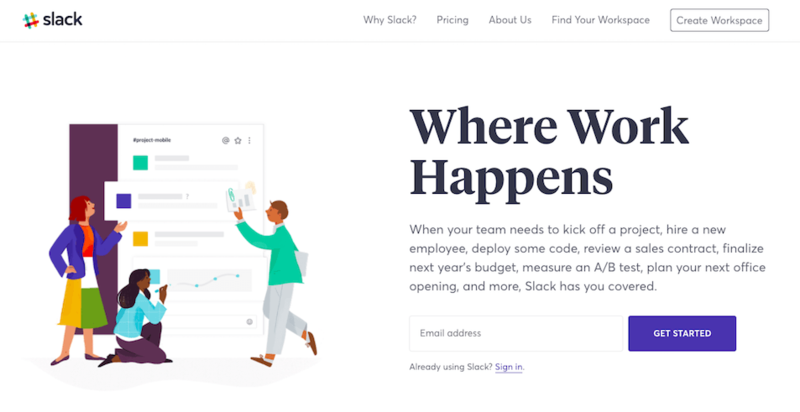 Slack also integrates with the top productivity and CRM apps including Salesforce, Asana, Zoom, Box, Dropbox, and many more. Another cool feature of slack is the ability to search for conversations. Instead of sorting through chats endlessly, you can simply search for a keyword in a conversation and find answers to your questions immediately. Slack is a must have for all teams with remote workers. Check out our comprehensive Slack tutorial in this article: How to Use Slack Like a Pro. The next tool you want to help organize communications among your remote teams is an online meeting platform. There are many great tools including Skype and Join.me, but a recent industry leader that is taking over and providing awesome services is Zoom. 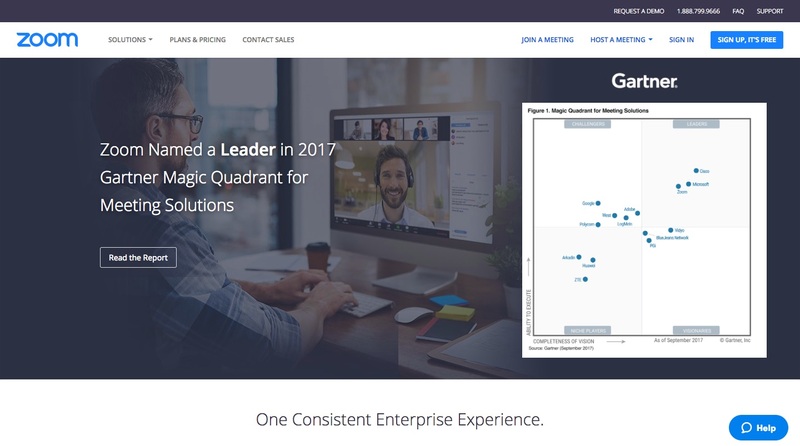 In fact, Zoom was just named a 2018 Gartner Peer Insights Customer Choice for meeting solutions. Zoom helps you with online meetings by offering high quality sound and HD support. You can also have up to 500 participants, so you could have a meeting with many remote workers at the same time. This is a great way to make sure your remote workers get the same information at the same time. Zoom also offers several collaboration features and smart screen sharing, making it easy to display your message to all participants. Another cool feature of the online meeting is it auto-records and generates transcripts. With this tool, you can return and read exactly what was said at a meeting. Zoom is a great tool for online training as well. They offer co-annotation and whiteboarding as well as video breakout rooms, so different teams can address different needs. Not to mention, Zoom has integrated scheduling with different calendar systems. Zoom also offers video webinars, enabled conference rooms, cross-platform messaging and file sharing, and more. If you haven’t checked out Zoom yet or if you’re looking for a new video conference and meeting tool, look into Zoom. Now that you have invested in tools to keep communication smooth, the next step is to invest in a tool to help you track employee time and invoicing. Some companies leave time tracking and invoicing up to individual contractors. This works for some smaller firms, but leaves you vulnerable to inaccuracies of reporting. A better way to work is to invest in an accurate time tracking and invoicing tool like Time Doctor. Time Doctor offers several features and benefits that will revolutionize the way your firm works and save you hours in terms of productivity a month. Let’s review. Time Doctor has thought of everything when it comes to increasing productivity through time tracking. Here is what the product can do for you. Time Tracking – Time Doctor helps you accurately track where time is spent in your business, making sure everyone is working on projects they need to be working on. Time Doctor tracks the total time worked by each person on your team, breaks down how much time is spent on different projects, tasks, or with certain clients. The best bart is the data is accurate to the second. Chat Monitoring – Time Doctor also lets you monitor chats by showing you how much time is spent in meetings or on calls, and who that time is spent with. Use the tool to easily view how many hours are spent in different meetings. Screenshot Monitoring – Want to know exactly how your employees are spending their time at a certain moment in time? With Time Doctor’s screen monitoring feature, you can. This feature helps you see who is and who isn’t staying on tasks and can be turned on or off for each of your remote workers or in-house workers. Clients Feature – Time Doctor has a powerful white labeling feature, so your clients can access Time Doctor. Clients can see screen shots and reports to learn more about the productivity of certain tasks. Keep in mind will only see data about the work you’ve done for them, keeping your data private. Payroll & Invoicing – When you track time, you can easily and automatically calculate payroll for any of your employees. Payroll is also highly customizable and supports all currencies, so you can get employees paid no matter where they reside. When you track time of all your employees, it makes invoicing accurate and you can rest assured you’re paying your remote team on exactly how many hours they worked. This ensures accuracy. Powerful Reporting – With Time Doctor, you can automatically generate reports, so you know exactly how users are spending time. This helps you see gaps in your productivity and take measures to improve efficiency at work. Web & App Tracking – Thet tool also records app and internet usage for all users during work time as well as which websites and apps were used. These insights provide insights on where you are spending too much time and how you can make improvements at your firm. Various Uses – Time Doctor is compatible with mobile phones, desktops, or tablets. Whatever method you prefer for viewing data is possible with Time Doctor. Several Integrations – Time Doctor also integrates the the top productivity tools like Jira, Asana, Bitrix24, Trello, Basecamp, Slack, GitHub, Salesforce, ToDoIst, and more. With these integrations, you can use both tools in the same convenient location. Time Doctor is the perfect tool for time tracking, monitoring, invoicing, and more. 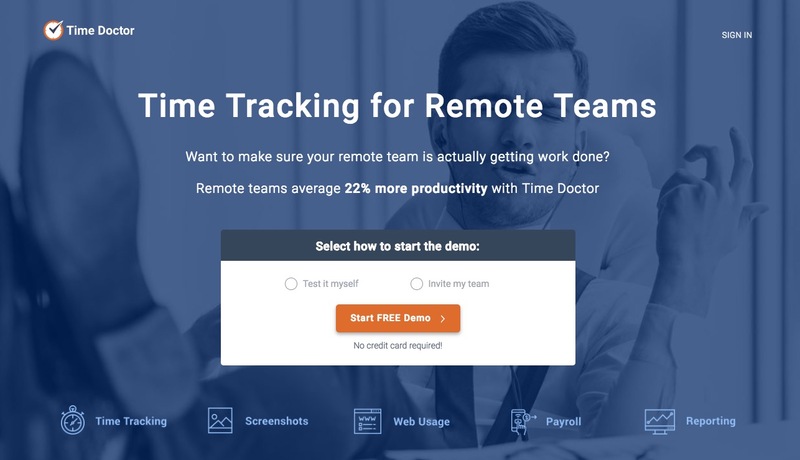 It’s worth it to note, Time Doctor has measured a 22% increase in productivity by helping companies uncover tasks and clients that are taking too much time and helping remote workers use time wisely. It also has shown to increase profits. One customer was able to increase monthly profits by 30% just by using Time Doctor. When managing remote teams, make sure you have a top-notch time tracking app like Time Doctor. It doesn’t necessarily matter which project management tool you use. There are several excellent tools on the market and the tool you select will depend on your preferences, company size, and budget. What matters, however, is that you use the same tool for your entire company. This includes your in-house team as well as your remote workers. Here are some of the top project and task management tools. Any of these tools will help you stay organized, streamline your tasks, and keep your projects moving smoothly forward. Asana is an awesome tool to help you track projects from start to finish. It helps you map out all the details of your project in one, convenient location. Everyone involved in the project can see who is assigned certain tasks, when they are due, and the progress of each tasks. This project management tool also organizes the tasks with beautiful visualizations. That way, you don’t have to strain your eyes or search hard to find out how a project is progressing. Your tasks will also have different views. For example, you can see the tasks in a list, sort projects by different milestones, and you can even view your project on a timeline. The timeline helps you see how tasks and deadlines connect, how much progress you are making, and if you need to make any adjustments before you run into any potential problems. With Asana, it’s easy to modify plans and make adjustments as necessary to make sure you meet your deadlines. It’s also good to note that you can share your project plan with anyone you want to. Another cool feature it has is the automated email alerts. Asana recognizes who is assigned certain tasks and will send an automated email reminder to help keep remote workers on track. This helps keep employees in the loop and on task. 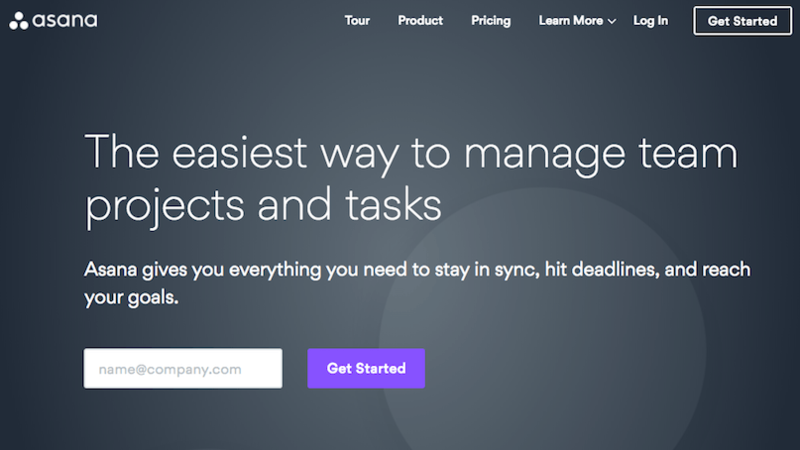 Like other project management tools, Asana integrates with other top productivity tools. This way, you can use different tools without having to switch back and forth between platforms. 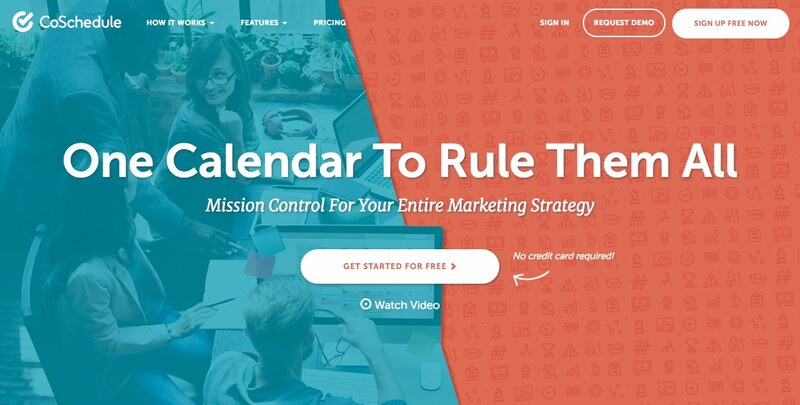 CoSchedule is another great project and task management tool. This tool is worth mentioning as it’s especially designed for marketing teams. Let’s take a look at how it works. With CoSchedule, you can see your entire schedule at a glance. They offer a drag and drop calendar feature that helps you quickly view and organize your tasks. This helps you sync your teams inside a collaborative and cross-functional calendar for all your tasks. Another way you can collaborate on projects is with team workflows. With this feature, you can easily collaborate, assign tasks, add comments, and work together to meet important deadlines. You can also get real-time visibility into your projects to see how things are moving along. With the team dashboard feature, everyone on your team can read updates and comments to see upcoming deadlines and follow up with specific teams. Another cool features is the ability to create a template for your team workflows. This helps you and your remote workers create a system that works for everyone. As you move forward, you can receive feedback from your team, make adjustments to the template, and continue to work more and more productively with each project. CoSchedule also offers a powerful analytics feature. This will show you your remote team’s overall progress in one report. With analytics, you can focus on driving productivity and meeting deadlines. Again, there are several other task and project management tools on the market (like GanttPRO online Gantt chart software), but Asana and CoSchedule are two of the top tools and are worth checking out. Hiring remote workers is a great way to go. When you have the right tools for communication, time management, and project management, you can rest assured you’re getting the most productivity out of your team, communicating your messages clearly, and working well together to accomplish your team and company goals.